You might’ve seen Howard the Duck quite recently. He had a cameo in Guardians of the Galaxy at the end of the credits. 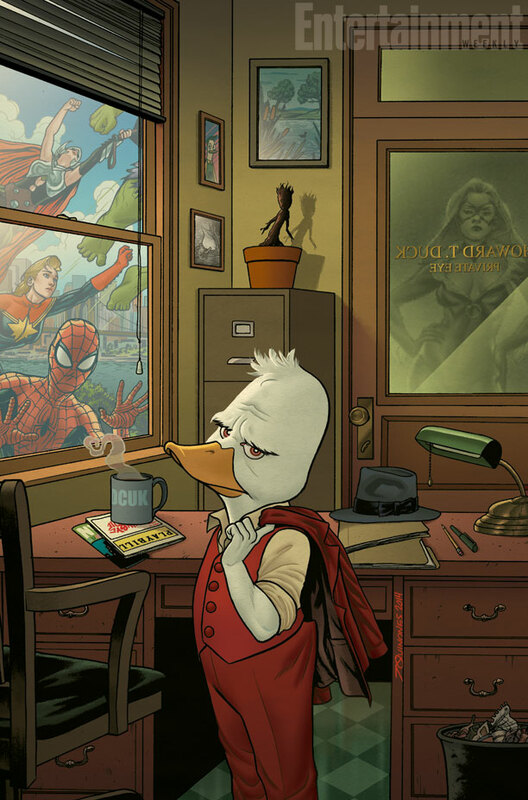 Is this a hint of better things to come for Howard the Duck? It just might be. Fact is, Marvel just announced that they will be launching a new Howard the Duck comic by writer **Chip Zdarsky **and artist Joe Quinones. Howard the Duck was created in the 70′s by Steve Gerber. He first appeared in *Adventure into Fear #19. *He soon gained popularity for his satirical and existential nature. This resulted in more (back-up) roles in the Man-Thing series and eventually to its own comic book in 1976. The series parodied many genres, including genres such as barbarian swords & sandals comics and Kung-Fu movies. Gerber used Howard the Duck to voice his own concerns and opinions about society in a politically turbulent time. The satirical, parodical way he did this, made Howard the Duck into a popular series, which ran 29 issues. It even resulted into a Lucasfilm and Universal Pictures produced live-action flick in 1986 (which has a cult-like status for being an extremely bad movie). The new comic by Marvel will come out next year. 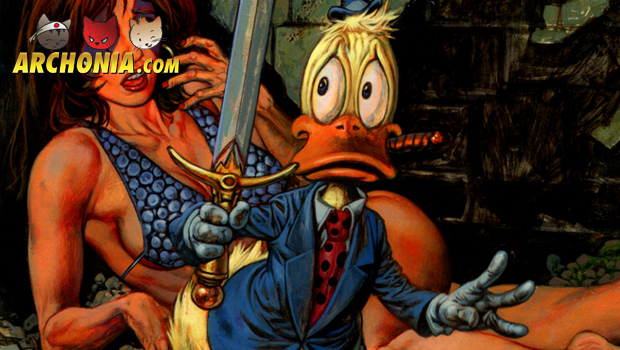 Expect to see the first edition of Howard the Duck March the 4th 2015! Previous Post : Breaking: Suicide Squad movie cast confirmed! Next Post : Archonia invites you to The Hobbit Night!